Why train to teach at UWE Bristol? Research-based learning that encourages critical and reflective thinking and continuous growth as a teaching professional. Active, practical, placement-based learning with a high level of support from tutors and partners in our diverse network of 250 educational settings. Placements range from inner city schools to rural primaries to give you a wide range of options for your NQT year. State of the art facilities including IT skill development and technical support for your subject area and classroom practice. Our high quality teaching rooms model contemporary classrooms to give our trainees experience of an environment similar to school. 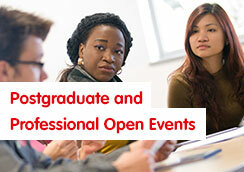 Enquire online for more information about Primary and Early Years Initial Teacher Education ITE at UWE.